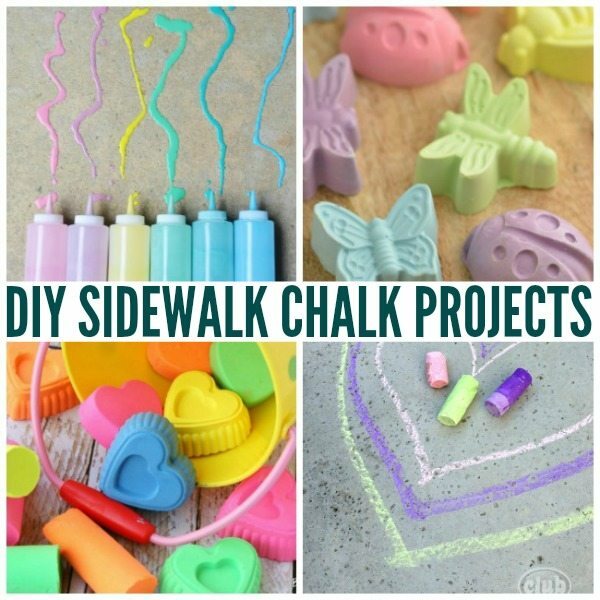 You’ll love these DIY Sidewalk Chalk projects! 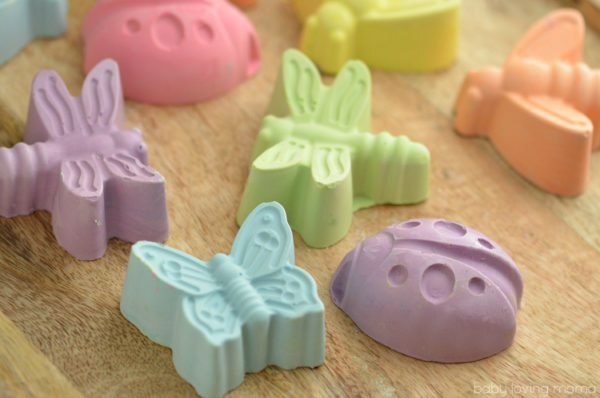 From paints to molds, we’ve got tons of #BoredomBusters to keep the kids busy! 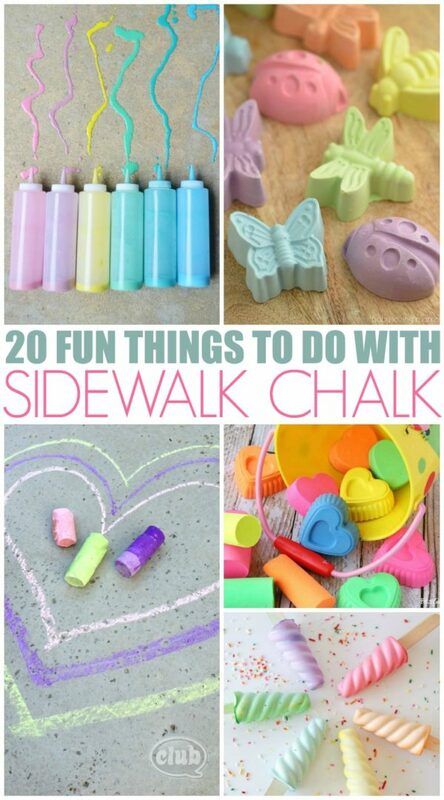 DIY Sidewalk Chalk in any form is a fun way to pass this time this summer. 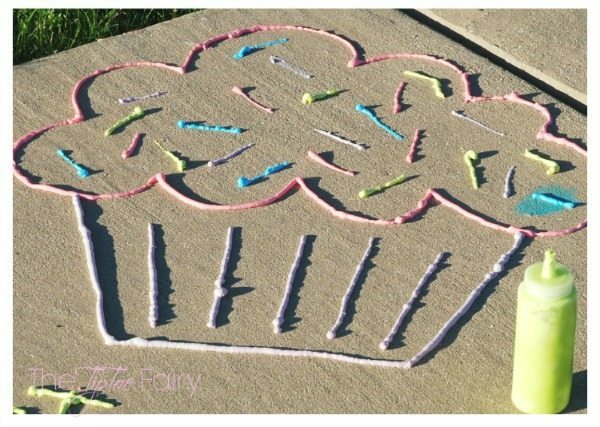 We’ve got tons of creative ways make your sidewalk chalk even more fun! 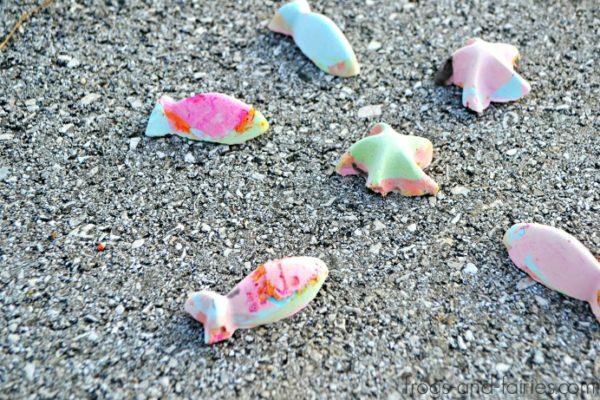 DIY Sidewalk Chalk is super simple to make at home! It’s a project that gives twice, since it keeps the kiddos engaged while you’re making it plus then they get to go play with it outside. 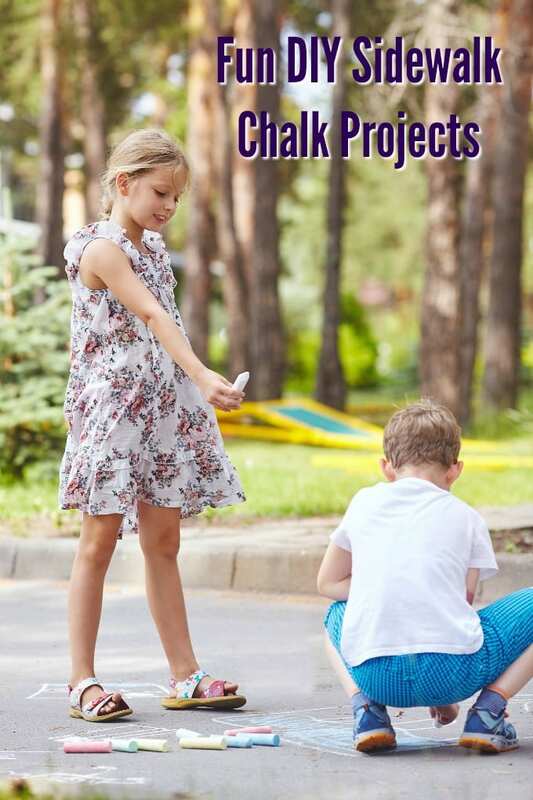 My kids just adore sidewalk chalk and are always asking for it. 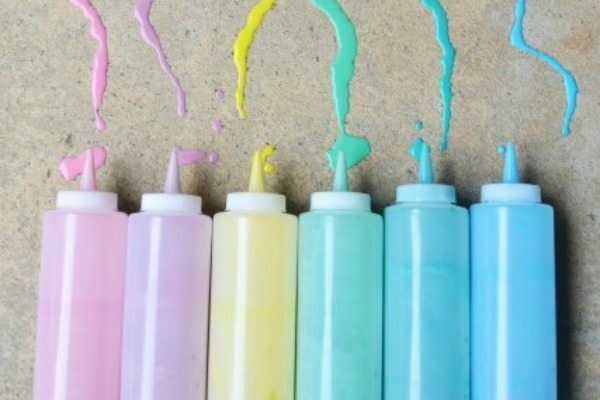 We especially enjoy making DIY Chalk Paint in the summer. It can get a little messy, but if it’s warm enough, I have my kiddos put their bathing suits on and then when they’re done, they can rinse off on the sprinkler… see what I did there? Three activities for one simple little craft. Genius right? 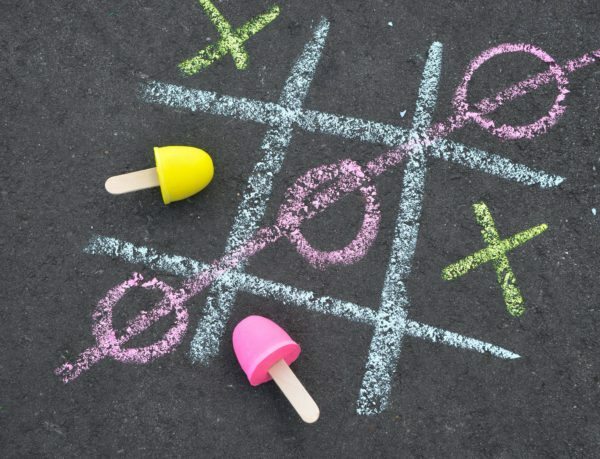 In the summer, it’s all about keeping the “I’m bored” at bay, which is why I’m sharing with you loads of fun projects to keep your kids entertained all summer long! 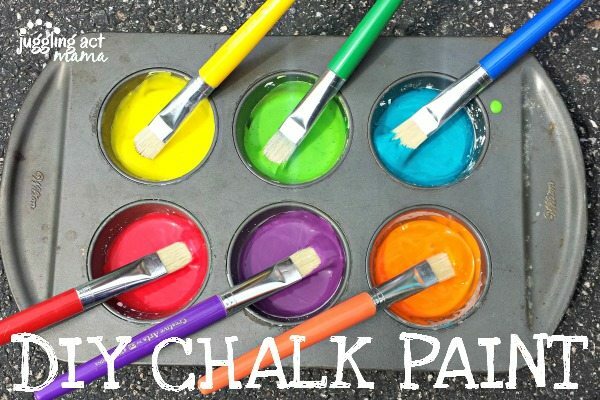 These awesome DIY Sidewalk Chalk Projects will keep the kiddos busy all summer long! Which one are you going to try out? Leave me a comment and let me know… As for us, I think we’ll be doing the foam paint next! 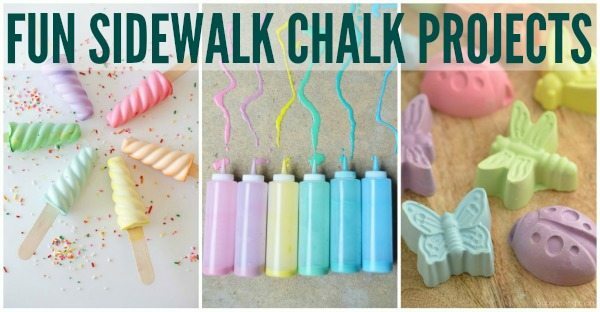 Shop for ingredients to make your own DIY sidewalk chalk creations! My grand kids love sidewalk chalk. Already been out this year doing it. My kids love sidewalk chalk. 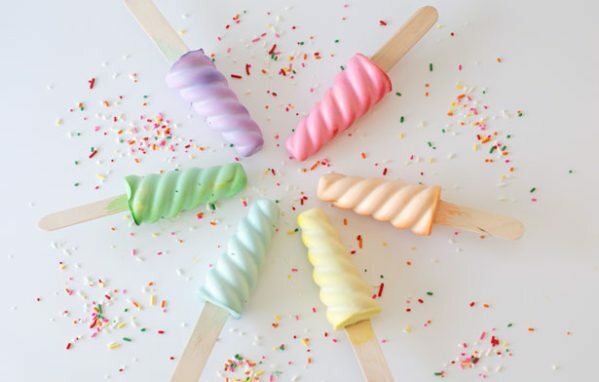 Loving this roundup! So much creativity 🙂 Thank you for including our door hangers! I did retweet a couple times, but the way you have it set up, I can see I retweeted but I don’t know where to find my retweet url. thank you for the giveaway opportunity. I added you to my giveaway page. I invite you to stop by and enter my giveaway too. Hugs! Love this round-up! My boys love chalk 🙂 Found you on Merry Monday. These are all a blast! 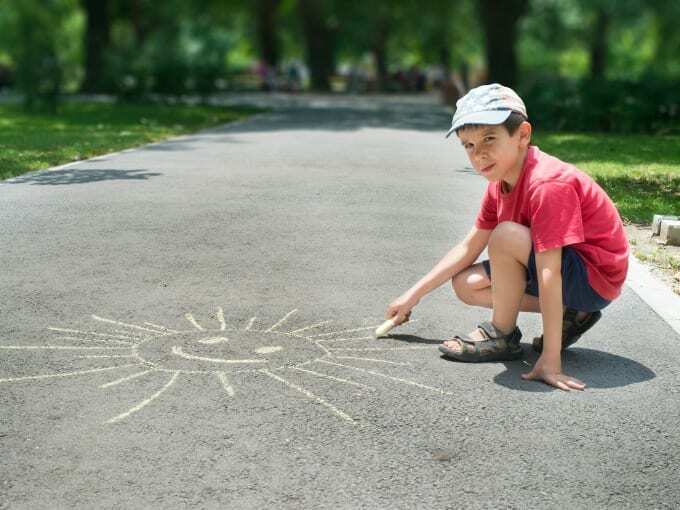 We love playing outside with sidewalk chalk. Thanks for sharing your awesome round up with us at Merry Monday this week! All of these are great! My nieces and nephews will love it! I so need to make my sidewalk chalk with my youngest. Such fun ideas! Love the ones in the squirt bottles (although I can see my 5 year old going nutso with this!) and those with a paint brush. Visiting from Share Your Style party.